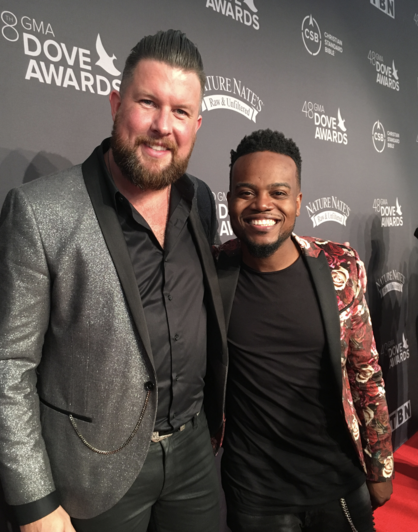 Provident Label Group/Sony Music artist Zach Williams was named New Artist of the Year at last night’s 48th Annual GMA Dove Awards. His record-breaking No. 1 song “Chain Breaker” also won for Pop/Contemporary Recorded Song of the Year. He was also nominated in three other categories and tied for most artist nods with Lauren Daigle. Williams kicked off the awards with a stunning performance of “Chain Breaker” and was joined by The Oak Ridge Boys and Travis Greene. The 48th Annual GMA Dove Awards were held live last night to a sell-out crowd in Nashville, Tennessee at Lipscomb University’s Allen Arena. The show will air on TBN Sunday, October 22 at 8pm CT.
RADIO & TOUR: Williams’ current radio single, “Old Church Choir,” continues to hold the No. 1 spot at radio, which has held that position for an astounding ten weeks in a row. The song, his second single from the album Chain Breaker, put Williams in the history books as the first debut artist to have two back-to-back No. 1 singles. View the music and lyric videos for both “Old Church Choir,” “Chain Breaker” and more by visiting here. Earlier this month Williams joined Casting Crowns on the fall leg of their The Very Next Thing Tour, which runs through November 12. Along with festivals, fairs and other shows throughout the rest of 2017, he is joining Tenth Avenue North in December on their Decade The Halls Christmas Tour. This spring, Williams will be part of the Rock & Worship Roadshow. Tour dates and further plans are well underway for 2018, so stay tuned by visiting his tour page here.